The need is less than it was in the more polarized era 20 years ago. Yet the problem of biased media continues to run through the field, whether one is in herbal medicine, integrative oncology, naturopathic medicine, dietary supplements, chiropractic or even the recent darlings of integrators, acupuncture and Oriental medicine. 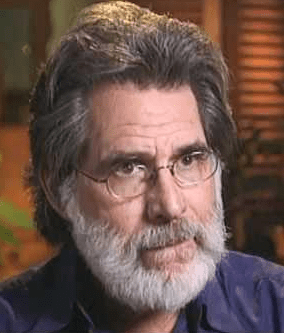 Is there a role – and even a responsibility – to advocate for the science itself, if some significant media account or report appears to abuse it? A recent example is the JAMA Oncology study with a huge misclassification error that led to widespread media reports that people who use complementary medicine in cancer care die earlier. The Society for Integrative Oncology and the Oncology Association of Naturopathic Physicians are among those that responded. In the midst of these questions, and some earlier issues with a UK agency’s misuse of science in denying coverage for acupuncture for both knee osteoarthritis and low back pain, ISCMR colleagues Nadine Ijaz, PhD and Antony Porcino, PhD and I decided to prepare a session on “Fostering Fairness in TCAIM Research Dialogue: Struggles and Strategies” for the November 9-10, 2018 IN-CAM conference in Montreal, the Canadian ISCMR affiliate. In preparation, I contacted the individual who may be the dean of media relations in the natural health field, Mark Blumenthal. Blumenthal is the founder and executive director of the not-for-profit public education organization, the American Botanical Council (ABC). ABC, now in its 30th year, has taken an activist role in dozens of media responses as herbal medicine and botanical dietary supplements have been sometimes roundly attacked as non-scientific and at other times portrayed badly following publication of scientific research. Blumenthal and his extensive set of Advisory Board members – I am among them – have frequently had occasion to question the merits of the science on which the negative media was based, as well as occasions when media outlets misreport issues. The consult with Blumenthal yielded some surprising content that merited sharing. Weeks: Give an example of science-related media on which ABC took issue? Blumenthal: About three years ago the now-former New York Attorney General Eric Schneiderman sought publicity for his department’s scientifically sloppy and uncontrolled DNA testing of branded herbal supplements that were purchased at 4 major retailers in NY. The story in The New York Times stated incorrectly that many were adulterated and misbranded. ABC had received an interview request from the writer at the Times the Friday prior to the story the following week, so during the weekend we had the time and opportunity to prepare a press release that we issued the morning of the Times‘ story. In our press release headline we stated that the New York AG ‘misused’ the DNA technology – which was certainly scientifically and technically accurate – and ABC’s thought leadership on this event helped to set the tone of some of the subsequent media coverage, to the point that the Associated Press came out with a story the following week, based on the ABC release and interviews with us and some of our colleagues in the academic community, that was highly critical of the New York AG’s testing methodology and its conclusions. Weeks: As I recall it didn’t shut Schneiderman up. Blumenthal: Correct. Despite the actual scientific and technical accuracy of ABC’s position, the New York AG had the opportunity to use his position as a strong ‘bully pulpit’ that dominated much of the media coverage, helping to ensure that continued misinformation about the quality of the tested DS – and herbal DS in general – was pervasive in the general media. The New York AG doubled down and continued to push his scientifically indefensible position. It’s almost as if the truth didn’t really matter! Weeks: So did all of ABC’s work feel in sum to be a waste? Blumenthal: No. However, we (and others) were never able to elicit a correction from the Times, and, to my knowledge, they’ve never formally acknowledged their error, as well as their responsibility in making the New York AG’s poor study such a national media issue. Eventually, ABC published articles based on its press release in HerbalEGram and HerbalGram, along with expanded, peer-review coverage. In addition, ABC’s chief science officer co-authored several papers published in respected peer-reviewed scientific journals that discussed the various strengths and weaknesses of using the form of DNA technology that the New York AG used to test herbal DS that were made of herbal extracts, not raw herbal materials (where DNA technology is more reliable). So, in essence, ABC’s media response not only helped to set the talking points for other organizations in their media responses, but also became part of the peer-reviewed scientific literature. Weeks: What was your process at ABC typically in developing a response? Blumenthal: I’d see the media or someone would email me an item. In some cases, we are called or emailed by the reporters writing what becomes the eventual story, and we have the opportunity to help clarify various scientific and technical issues, and have a quote in the story. Sometimes we are able to either stop or neutralize a potentially negative story due to our ability to convince a journalist that their assumptions are incorrect, or that they’ve misinterpreted the information or conclusions of the study, or whatever the issue may be. 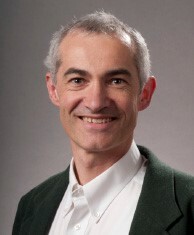 In many cases when these stories arise, I will typically work with ABC’s Chief Science Officer (CSO) – Stefan Gafner, PhD, who is both a pharmacist and PhD in natural products chemistry, and frequently an ABC Advisory Board member or a small group of advisors with content expertise specific to the article’s subject. We write up something and I try to get the response fact-checked (informally peer-reviewed) before we would go public. With the shortening of the news cycle, this becomes increasingly more difficult. During the last 5 years since we’ve had a CSO, this process has been managed much more smoothly. Weeks: That is still a good deal of work even when you can plan ahead – deciding to respond, drafting, getting the review, submitting. Blumenthal: It almost totally hijacks your day or sometimes the next day too. It is difficult to develop a cogent piece within a news cycle. It’s even more difficult now. The cycle has sped up. The protocol for response from 10 years ago that we used to follow doesn’t always work today. The cycle is moving too fast. You know as well as I that a person can make a career of writing letters to the editor. Now, frequently they get ignored, buried, or end up in a comment stream. In the past there was sometimes a reasonable chance we could get published, that the time and energy composing the letter would pay off. Now It’s hard to get any exposure, i.e., other than in social media, and that’s quite uncertain. Often, what happens is that all you end up doing is mollify your members and other stakeholders that you’ve made a response. I’ve gotten frustrated with that process. Weeks: Have you new strategies? Blumenthal: For subjects that relate to quality control issues, there are various industry trade publications as well as professional research newsletters that frequently give ABC releases good coverage. For example, now there are newsletter services out there with a very broad reach. NutraIngredients-USA is one that focuses primarily on the herb, dietary supplement industry in the US, with corresponding newsletters in the EU and elsewhere. They publish 4-5 news pieces daily to over 100,000 of people in the trade and beyond. They often pick up our releases and position statements from ABC and focus on them. You figure within the 100,000+ readers are members of the media and others in the mainstream community who are looking into this as a resource. You might have some additional influence. But it is mainly people in the industry you reach, and, again, given the nature of different ABC press releases – such as quality control and adulteration of raw materials and extracts as part of our Botanical Adulterants Prevention Program – this might be sufficient. However, we also note that ABC releases about ABC’s annual herb market report showing size of the herb market in the US gets more pickup (and, later, citations), than many of the QC items, although that seems to be changing too, with more outlets giving us ‘ink’ re our adulteration documents. Weeks: So in many senses you are speaking to your base. Blumenthal: Yes. And we are taking a longer view now. We have to carefully choose the subjects and media items to which we respond. If we develop something, it usually results in considerable time, energy, and research by ABC’s CSO and sometimes other staff members, so we try to use it as optimally as possible. So, a final peer-reviewed press release might end up in an article featured in place like NutraIngredients-USA, or one of several Informa trade publications, plus newsletters aimed at integrative health professionals, et al. We might use it in ABC’s HerbalEGram. It might become a piece in our quarterly peer-reviewed journal HerbalGram. It’s in our archives. It then becomes a considered assessment of a published piece of research or report, with our assessment documenting what was erroneous, or correct, where the problems are with the science. Weeks: There is a value here in giving your members talking points. They are armed should something come up relative to the research or the article in their area, or work. Blumenthal: Yes, of course. Many people in the natural products research community, natural and integrative medicine health professionals, industry, and consumers consider ABC a respected rational voice in their respective communities. 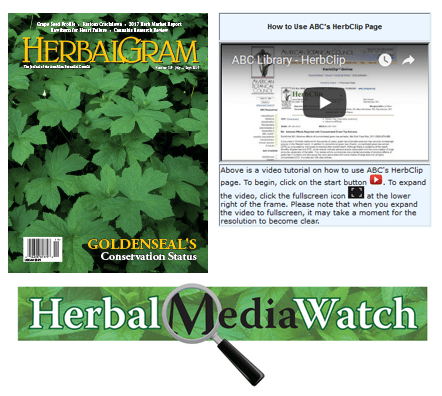 Another way we try to offer media-related services to ABC stakeholders is via our “Herbal Media Watch” on our website. It provides links to key media articles, and sometimes blogs, and industry pieces. It’s a compilation, a smorgasbord of articles of possible interest to a wide variety of stakeholders. We generally don’t comment on them; there are simply too many and the time and resources aren’t available. Weeks: So, do you have specific recommendations to leaders of other organizations? Should they just let any negative press roll off and focus instead on realizing their positive initiatives? Blumenthal: Ignoring key articles would be a very enticing option for many people, as it would not require the time and financial overhead for such vigilance and media responses. But org leaders cannot afford to let some issue ‘roll off’ – there are times they should respond, with a letter to the editor, and/or a press release, or an article in their own publication(s) – even if it’s to help establish a record for archival or historical purposes, documenting the org’s position on a particular issue. Weeks: So, expect to let one’s schedule be hijacked from time to time. Then make the most of the work, re-purposing it for your constituents. And know that the long view is the high road. Nice tips and insights, Mark. Thanks.